Scientific name: Hyssopus officinalis L.
Habitat and distribution: Mediterranean plant naturalized in Europe. 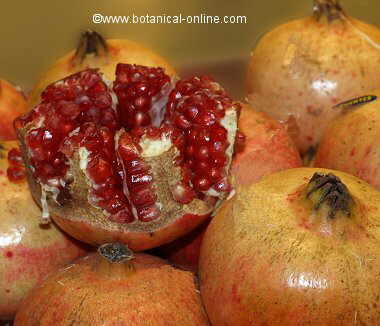 Originally from calcareous soil of Mediterranean forests, rocky thickets or mountainous arid and sunny areas,. From 0 to 2,000m. altitude. Botanical illustration of a hyssop plant. Aromatic perennial plant of Labiatae family, up to 70cm high. Erect, quadrangular, woody stem. sessile. Opposite, lanceolate or elliptical leaves. Flowers in inflorescences of terminal spikes. The lipped flowers can be blue, purple or white pink. Tetra-achene fruit with black seeds inside. 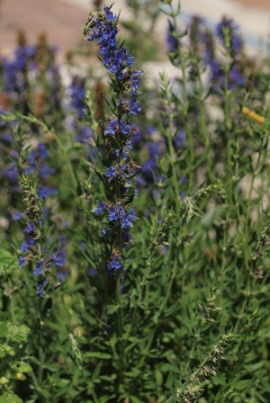 Hyssop harvesting is done between August and October, when the plant is in bloom and has a higher amount of essential oil (maximum period of balsamic essence). It must be cut with the help of clean scissors 15 cm above the plant to ensure its survival. Dry in a dark, dry and ventilated place for 15-30 days. 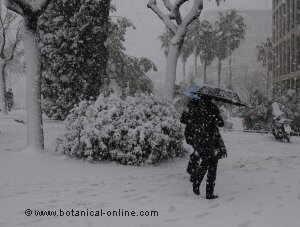 Harvested morning plants have more essential oil than those harvested the afternoon. The varieties with the highest proportion of essential oil are blue flowers (1-1.5% essential oil), followed by pink varieties (0.8%) and white (0.5%). 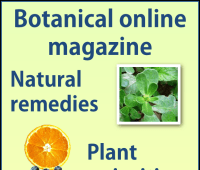 Essential oil (0.3 to 1%): In leaves and flowers. The main component is pinocamphone (50%) and thujone, two terpene ketones with psicoanaleptic effect (nerves stimulating). 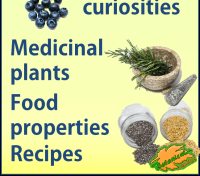 Other components of essential oil are: isopinocamhone, pinocarvone, pinene alpha and beta (14%), camphene, linalool, cineol, pinocamphol, myrcene, estragole, limonene, sabinene. Marrubiin: Lactone with fluidizing effect for bronchial mucus. Its use can cause irritation of mucous membranes, so it should not be used in case swollen bronchi. Hyssop (Hyssopus officinalis) is a medicinal plant that belongs to the same family as tarragon, sage or rosemary. Traditionally, this plant has been used for its antibiotic, and digestive properties and to treat respiratory symptoms related to excess mucus, such as loaded chest and coughing. Respiratory diseases: Hissop has mucolytic properties, very suitable to fluidify the bronchial secretions or mucus and facilitate its expulsion. This is because the hyssop essential oil is removed through the airways, exerting its effect on respiratory system. However, its active component, marrubiin, can be irritating to the bronchial mucosa, so that the plant should NOT be used when there is inflammation (bronchitis, pharyngitis, etc.). Emmenagogue: The essential oil of hyssop has emenagogue properties to stimulate uterine emptying when there are problems of amenorrhea. (Infusion: 1 teaspoon of flowering tops per cup of water, 3 cups a day). It is NOT suitable if heavy menstruation, endometriosis or pregnancy. Hyssop essential oil is toxic. It must Not be used internally. Improper use of the plant or its essential oil can produce unwanted side effects. 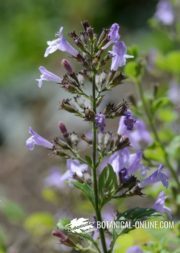 Hyssop has some significant drawbacks, including the restriction of use to people with epilepsy and schizophrenia. Contraindicated in pregnancy and during lactation. Hyssop is used as an aromatic herb, to season the dishes. 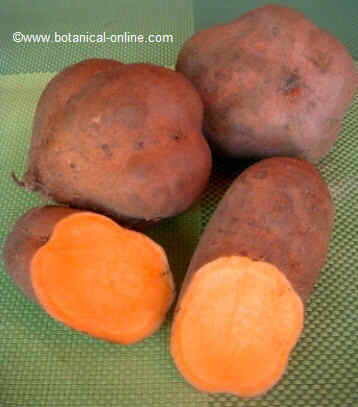 It can be used fresh or dried in vinaigrettes, soups, pickles, homemade pizzas, or other food preparations. 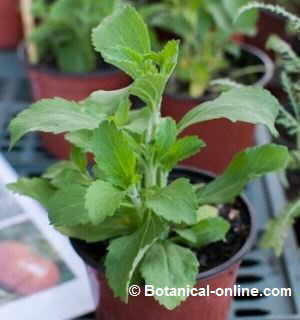 Its flavor is very aromatic, like sage or mint. Hyssop flowers are edible. Both, flowers and leaves, can be added to salads of wild plants.